Creator: Prompted by the works of Andy Hunt and Dave Thomas who wrote The Pragmatic Programmer and Pete McBreen who wrote the Software Craftsmanship. 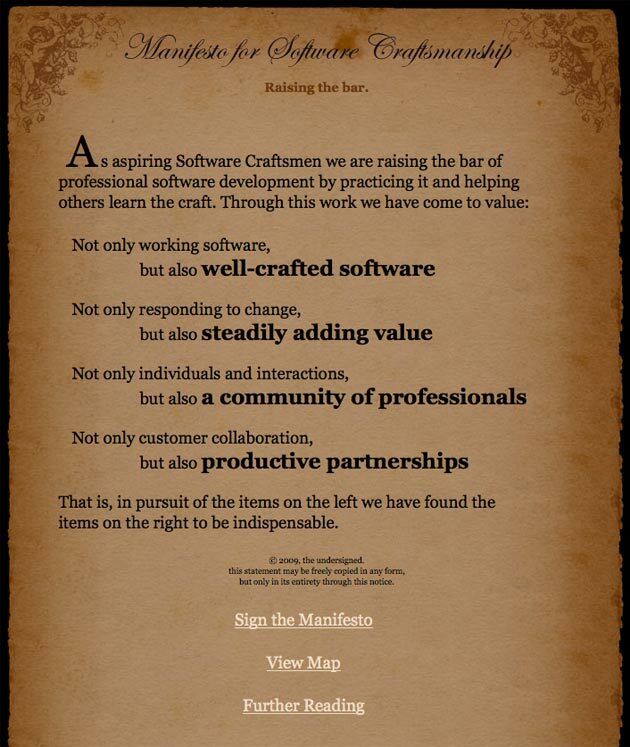 Purpose: Raise the bar for the standard and craft of professional software development. It builds upon the earlier Agile Software Manifesto for software development.